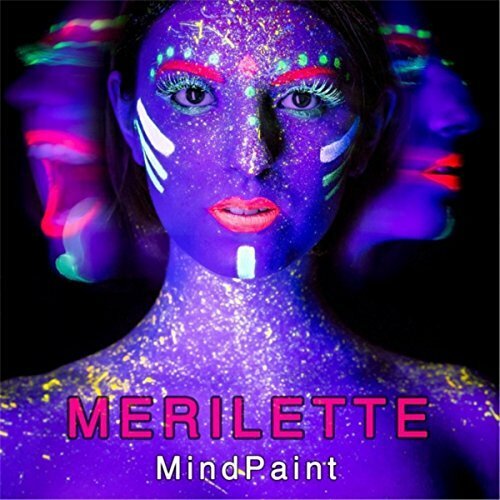 Merilette is the stage name for electro-pop songwriter Morgan Graf, who’s debut album MindPaint is available now. A native of Texas, Merilette now calls Pittsburgh her home and you can catch her live at a couple upcoming shows including this Thursday (4/12) at The Black Cat Market on behalf of Sexual Violence Awareness Month. She will also be at The Funhouse at Mr. Smalls next Tuesday (4/17) opening for LAYNE. I want to thank Merilette for taking the time to participate in this edition of First/Last. That would be Dookie, by Green Day! In the present days of streaming, I don’t buy many albums, but the last album I bought was Taylor Swift’s Reputation. The Dark Side of the Moon. I have never felt more spiritual than when I listen to that album. “Us and Them” will always make me cry. Sgt. Pepper’s Lonely Hearts Club Band. So much hype, and I just can’t get into it. That would be again, Green Day. That band is my childhood, the soil that I grew from. A couple weeks ago, my best friend Livy and I went to see Miranda Lambert. I’m a Texas woman, and will take any chance I get to quench my homesickness. This concert did just that. I saw Skinny Lister in Houston about five years ago. That night they were opening for Flogging Molly. Skinny Lister was my favorite band at that time and their cheerful music carried me through my depression, PTSD, self harm, and suicidal ideation. After their incredible performance, I beelined to the merch table to meet them. The frontwoman, Lorna, was there selling merch and taking photos with people. I got to the front of the line and words just started spilling out – I told her how they had saved my life, how their music had been narrowly keeping me from the throes of misery. After the words spilled out, the tears started spilling out. Lorna and I were in this huge venue, with people all around us, hugging each other, crying, and reminding each other that we are loved. I left after that, before Flogging Molly played – I had experienced all I wanted to experience that night. My least favorite concert was Walk the Moon in Austin, TX. It had nothing to do with the performance – they were great. But it was a huge standing room only venue, I was 60 feet from the stage, and I am short. That’s no fun for me. I saw them again at the Greek Theater in LA and THAT was amazing. I started building my music career in Texas and moved to Pittsburgh a couple years ago. The thing I love about Pittsburgh is the small town feel. The interconnectedness is incredible. Everybody knows everybody. You don’t get that where I’m from, because everything is so spread apart. You have to drive at least 30 minutes to get anywhere. If you want to go to another city it takes hours by car. Public transportation doesn’t work because of the sprawl. Moving to Pittsburgh rekindled my connection with other human beings and made me feel like I was part of a community – something I had never felt before. Thanks, Morgan. Wow, that interaction with Lorna sounds incredible. It’s always great to hear cool stories of meeting musicians like that but that is an amazing story.